Until recently, our options have been limited when it comes to making local and long distance phone calls. It has been standard to have to pay high monthly and by-the-minute charges to keep in touch with loved ones that live far away. With mobile phones, you have the freedom to take your communications with you, but the reception is often sketchy, and roaming charges can take a big bite out of your wallet. That is why VOIP is so attractive to so many people. Quite a few people have made the switch to this technology as their primary mode of phone communication for work and everyday life because of the freedom it allows, and the very low cost to subscribe to the service. And the popularity of VOIP and Internet phone service is continuing to gain momentum. If you are thinking of making the switch VOIP phone service, there are a few issues that you should give careful consideration to before making the decision. When you subscribe to VOIP service, you are exchanging your traditional landline for a phone that hooks up to your Internet connection. The phone accesses the Internet over your broadband connection, either by cable modem or DSL. Using a piece of equipment that is plugged into the modem known as a telephony adapter, electrical pulses from the IP telephone are translated into data packets that move over the Internet. Thus, your phone line and your Internet connection are one and the same. This provides a myriad of communications option for the subscriber, but also introduces many issues such as security breaches, power outages, Internet service interruptions, and sub par reception due to Internet traffic. VOIP is gaining popularity primarily because of the low cost to subscribe to a service. Local and long distance calling is bundled together along with other options like Caller ID and Call Waiting for one low monthly rate, and International calling rates are very reasonable. Rates for calling oversees are usually .03 - .04 per minute, and calling Canada falls under the domestic long distance region. In addition, it is also customary for service providers to allow subscribers to call one another within the service free of charge. In order to subscribe to VOIP phone service, it is necessary that you have a broadband Internet connection. If your Internet service is not totally consistent, and you tend to lose service on occasion, you will lose your phone service during Internet service outages. As a subscriber to VOIP, your service will provide you with a telephony adaptor that you can connect to any home phone, which you in turn connect to your modem, which will give you VOIP phone capabilities. Keep in mind that you will pay for VOIP service in addition to your monthly Internet service charges. However, charges for VOIP phone service are far lower than traditional phone company charges. Other issues, such as power outages, need to be addressed before switching to VOIP. In essence, if your power goes out, so does your phone service. 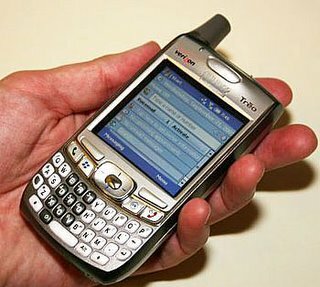 It is possible to avoid losing phone service during power outages by hooking your computer up to a universal power supply. This keeps your computer - and your phone service - operational during power outages. The sound reception over an IP phone is often just as clear as that of a traditional telephone. Unless your Internet service is experiencing heavy traffic, your calls will likely come through clear and audible. One thing to note is that the quality of 911 services depends on the service you decide to subscribe to. Some services route emergency calls to different call centers than traditional 911 calls, therefore emergency response might not be as efficient as you are used to. With all of the questions that arise from VOIP phone service, there are still many reasons to consider subscribing. Aside from the attractive cost savings, you can take your IP phone with you and connect anywhere that there is broadband Internet service, you can more than likely keep your current phone number, and since VOIP services is federally regulated, there are no state fees to pay that you customarily do with traditional phone service. And as long as you stick with a well-known service provider that you feel confident will provide long-lasting service to you with the best prices and options available, you have nothing to worry about. VOIP phone service is not only convenient and cost effective, but it is great way to make the most of your Internet capabilities. Appealing to the music lover on the go, Panasonic debuts two new digital audio players. The models have the PlaysForSure™ logo, certifying their compatibility with music downloaded from PlaysForSure certified Music Service Providers on the Internet. The new miniature models come in two attractive designs. The SV-MP010 and SV-MP020 boast a small footprint about the size of a lipstick. 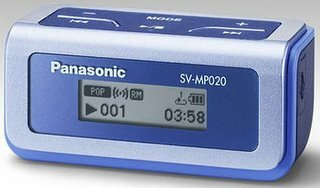 The SV-MP020 boasts 2 GB of built-in memory, while the SV-MP010 has GB of embedded memory for hundreds of minutes of MP3 music. To help simplify downloading of MP3 or WMA files from a PC, there’s the “Drag and Drop” feature, which allows users to easily download and transfer music files directly to the unit. “These colorful digital audio players, not only look great, but boast superior sound quality and ease of use,” says Yong Lee, Product Manager for Panasonic Portable Audio. Models SV-MP010V and SV-MPMP020 provide extensive 75-hour playback using just one AA alkaline battery. 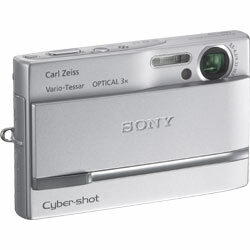 Shams Tarek has reviewed this digital camera from Sony, the Cyber Shot DSC-T9. It's a great tool whether you're a casual shooter or a more serious photographer. Bonnie Cha has reviewed the Palm Treo 700w, mobile phone. Cnet has reported about the best products at the Consumer Electronics Show (CES) in Las Vegas.